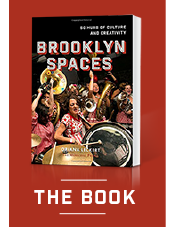 16 May Filed under activism, bed-stuy, brooklyn spaces book, closed, communal living. Tagged 123 community center, activism, activists, anarchists, bed-stuy, brooklyn free store, brooklyn spaces book, communal living, freegan, kit crenshaw, mayday, mutual aid, occupy wall street, people's climate march, protest, time's up. Bookmark the permalink. “We’re trying to make this a better city, a more livable city, together,” says Rebekah S., one of a dozen anarchist-focused denizens of MAs House, a close-knit community that supported a range of radical ideals like mutual aid, anti-authoritarianism, environmental and social justice, freeganism, and gender and sexual parity. Residents were very involved in the Occupy Wall Street movement, Mayday actions, and the People’s Climate March. Environmental-justice and anticapitalism activists working on projects like Bushwick City Farm, Time’s Up, the 123 Community Center, and the Brooklyn Free Store have lived there. 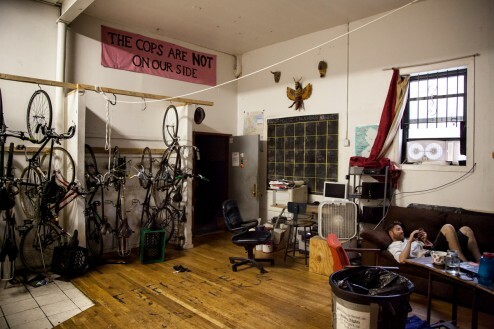 Residents have distributed leftist magazines on cargo bikes, conducted anarchist study groups and prisoner letter-writing campaigns, and provided jail support for arrested protestors. They also hosted art shows, film screenings, and concerts, often to support progressive causes. 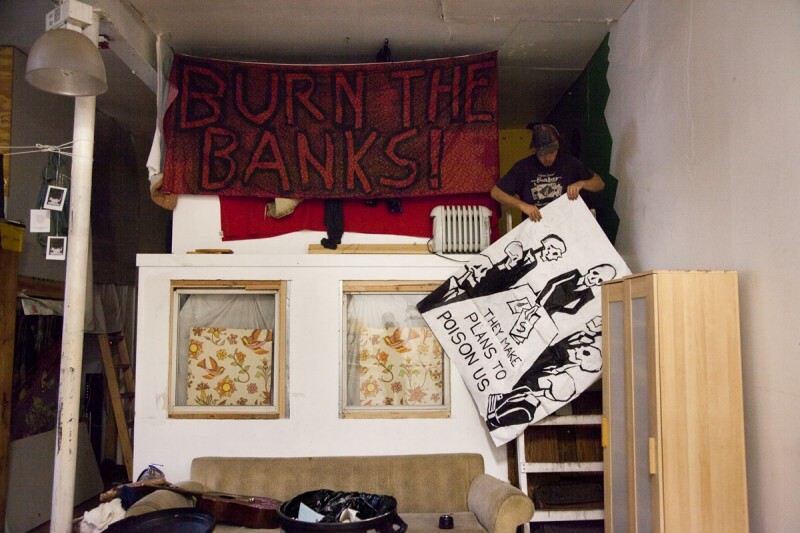 Unfortunately, due to increasingly aggressive tactics by the landlord, the MAs denizens were evicted in early 2015, scattering to several other activist, anarchist, and communally focused living spaces across Brooklyn—although they are still fighting for the right to reclaim their home. 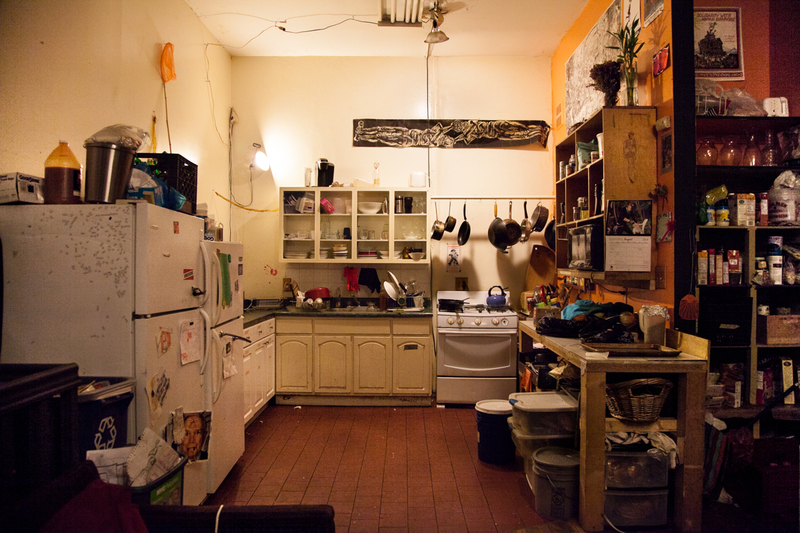 Want to learn more about MAs House, and 49 other incredible Brooklyn Spaces? Buy the book!